Avishai is an experienced technology entrepreneur and developer who has grown Wix.com from a start-up in 2006 to the world’s leading do-it-yourself web publishing platform. Avishai and his co-founders, developed the Wix platform as a result of their frustration with the complexities of website creation. Six years on, they’re helping tens of millions of users with no development skills to create beautiful and professional websites. Avishai is a true technology entrepreneur. 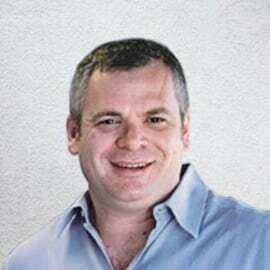 Prior to founding Wix in 2006, Avishai led several successful start-ups as founder/senior manager, including the software company AIT, which he founded in 1994 and sold in 1997. From AIT, Avishai then moved to co-found Sphera Corporation in 1998 - a software company that offers an automation platform for hosting companies. Sphera Corporation was acquired by SWsoft, Inc. in 2007. During this time Avishai was also VP Strategic Alliances at Arel Communication and Software (ArelCom). Avishai was part of the team that successfully sold this business in 2006. In addition to his many successful business ventures, Avishai has also been the driving force behind the release of over 15 software products that have since been used by millions worldwide.